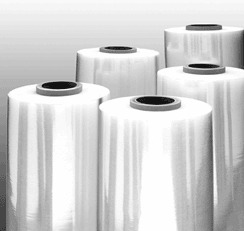 SELECT CAST is our best selling general purpose, cast co-extruded stretch film. This versatile, competitively priced stretch film's broad specifications provide for excellent performance when wrapping most A and B loads. With up to 250% pre-stretch, it provides for high levels of strength, puncture resistance and cling. Clear optics and quiet unwind make this film the top choice for the widest range of applications. SELECT CAST, the simple and economical solution for most common applications!